It occurs in Mt Iglit-Baco National Park, where only tiny forest tracts remain. Haribon have been working at the site for over five years and have established a site support group. Funding has been provided for faunal inventories and environmental education initiatives at Puerto Galera, where hunting has been locally prohibited. 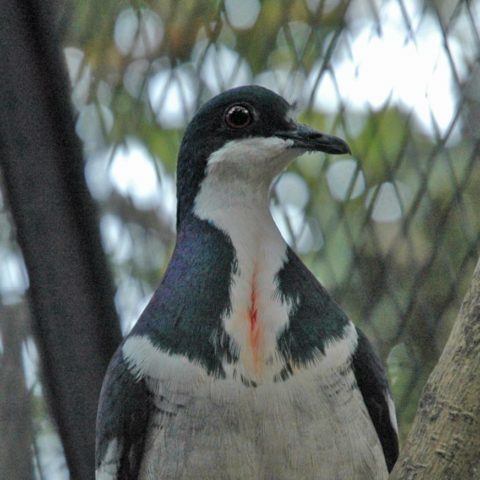 The Sablayan Penal Colony recently adopted the Mindoro Bleeding-heart as their flagship species for conservation and established a forest protection and restoration unit within the boundaries of the penal colony inside the Mt. Siburan IBA (B. Tabaranza in litt. 2008). As a result, hunting and trapping by local people and inmates has been totally eliminated in this area (Haribon Foundation in litt. 2009). Haribon, through the LGU, SPPF and other stakeholders, propose to designate the Mt. Siburan IBA as a Municipal Wildlife and Bird Sanctuary in order to conserve the largest lowland forest tract of the entire island and the endemic and threatened species present therein (Haribon Foundation in litt. 2009). As part of the BirdLife Preventing Extinctions programme, Species Guardians Haribon Foundation are implementing the following actions for this species and Black-hooded Coucal (BirdLife International 2008): an IBA monitoring team for Mount Siburan has been set up, training and utilising local participants; actions are underway to strengthen the Sablayan Forest Management Board, the main function of which is to oversee the implementation of the Sablayan Forest Management Plan; an Information-Education-Communication Plan is being developed for use in environmental education, awareness raising and local advocacy; a Sablayan Ecotourism Plan is being developed, and training has begun for local bird tour guides; and efforts have been made to strengthen and consolidate the Site Support Group's actions aimed at eliminating logging activities and the accidental snaring of Mindoro Bleeding-heart. A 25-year moratorium on mining for the whole of Sablayan has recently been established (Tabaranza 2008). Urgently produce a detailed map of remaining forests on Mindoro, and survey these systematically to clarify its current distribution and population status. Follow up any anecdotal reports of the species and establish captive breeding populations. Conduct ecological studies to assess its requirements for breeding and foraging. Regulate hunting of wildlife species and the extraction of forest products within Mt Siburan IBA. Gallicolumba platenae is endemic to the island of Mindoro in the Philippines, where there have been confirmed records from only four sites since 1980. These localities are Puerto Galera, MUFRC Experimental Forest, Siburan and Mt Iglit-Baco National Park, with unconfirmed reports from several other localities suggesting that remnant populations conceivably exist elsewhere. It was common in the early 20th century and apparently locally common as recently as 1954. Subsequently, unconfirmed reports suggested it was common in the recent past in the extreme south of the island. However, the paucity of reports from hunters and very low encounter rate by fieldworkers suggests that numbers have become very low. The Mount Siburan IBA holds the largest remaining suitable habitat for the species. A population estimate of 50-249 mature individuals has been derived from analyses of recent records and surveys by BirdLife International (2001). This equates to 75-374 individuals in total, rounded here to 70-400 individuals. 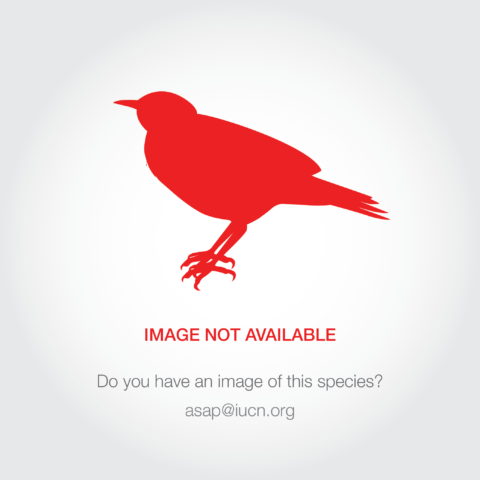 Lowland forest destruction has eradicated almost all of this bird's habitat. In 1988, just 120 km2 of forest remained on Mindoro, only 25% of which was closed-canopy. At current rates of loss, the island may lose all primary forest below 900 m within a few years. The forests at Siburan and Mt Iglit-Baco National Park are threatened by encroaching shifting cultivation and occasional selective logging. Rattan collection further disturbs the forest undergrowth. Dynamite-blasting for marble is a threat to forest at Puerto Galera. On Mt. Siburan, clearing for agriculture and slash-and-burn farming was the main cause of forest fragmentation. Ground surveys have shown an open patch of land to be a slash-and-burn farm owned by indigenous people called the Batangan, a sub-tribe of the Mangyan ethnic group. Hunting (using snares) for food and collection for the pet trade are additional threats, particularly during the dry season (February-May). Recent surveys have shown that during the rainy season, Mangyan-Batangan indigenous people set hundreds of ground traps intended for the Red Junglefowl (Gallus gallus) and other ground birds, small mammals and reptiles (Haribon Foundation in litt. 2009). These ground traps have accidentally caught Gallicolumba platenae (B. Tabaranza in litt. 2008, Haribon Foundation in litt. 2009).